Increasing demand and expectations in Maritime Industry call for communities to come up with new facilities and to upgrade outdated systems and infrastructure. The prospect of such developments integrates challenges since each new advanced construction must be sensitively designed, appealing, practical, cost effective and environmentally sustainable solution. A continuous dedication to comprehensive improvement marks a path towards new maritime state of the art designs. 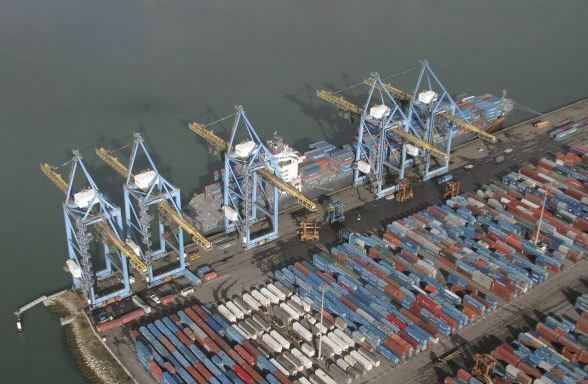 A new container terminal at the Port of Le Havre is located in the west of Port 2000, and it will extend along 1,400 m of quay. The terminal will become operational in early 2012, upon completion of the first of four berths, while the remaining berths are expected to open by the end of the year. This $ 215 million worth investment will enable vessels of up to 14,000 TEU to berth. The USD 16 billion Kenya Port Project is a transport and infrastructure undertaking that will link three countries thus it will become the country’s second transport corridor. Lamu Port will comprise 30 berths with a capability to handle ships with 100,000 dwt. The port will be built at Manda Bay and is set to enter into service in December 2012. The project also includes an oil refinery at Isiolo. Construction of a San Francisco’s New Cruise Terminal at Pier 27 under the $52-million project will begin in mid-2012 and will be completed by early 2014. The existing terminal at Pier 35 will remain in service as a backup cruise ship facility until the new terminal is completed.